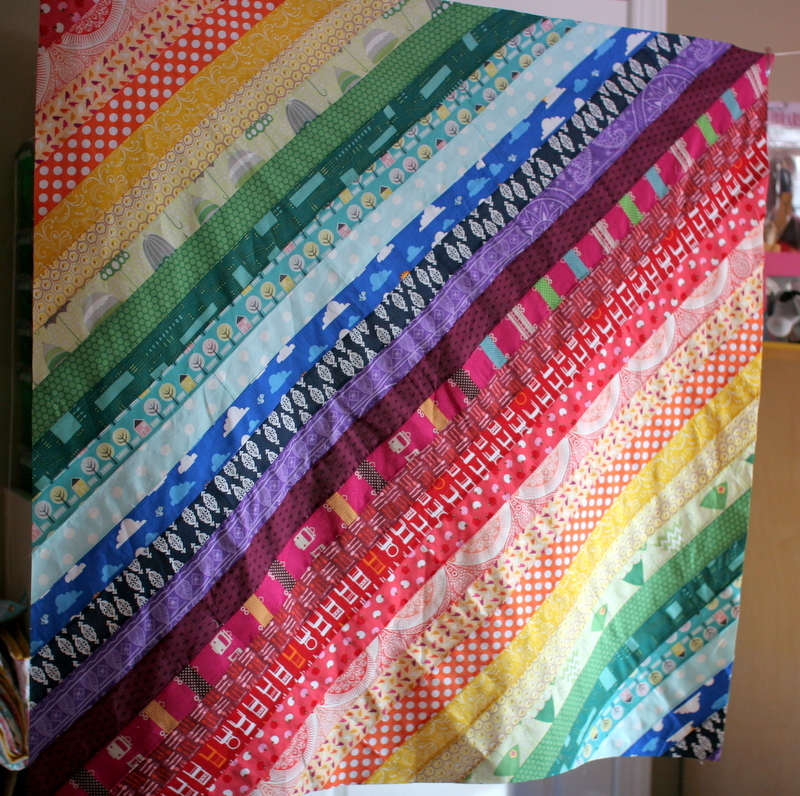 Other posts on this quilt: Rainbow Strip Quilt Pt. 1. I will post better photos of this quilt when I’ve got it finished, but for now the weather is too grim to take it outside. I actually ran a string across my studio to try and get more than my typical lay-it-out-on-the-floor photo. I have one of those, too. The piecing of this top was pretty quick, but squaring it up was challenging. It’s just the way I decided to construct it, working in 2 large triangles. I got the two halves evened up and sewn together, but then when I laid out the top it was clearly more of a diamond shape than a square. So I went back and tweaked it until it was a nice square. 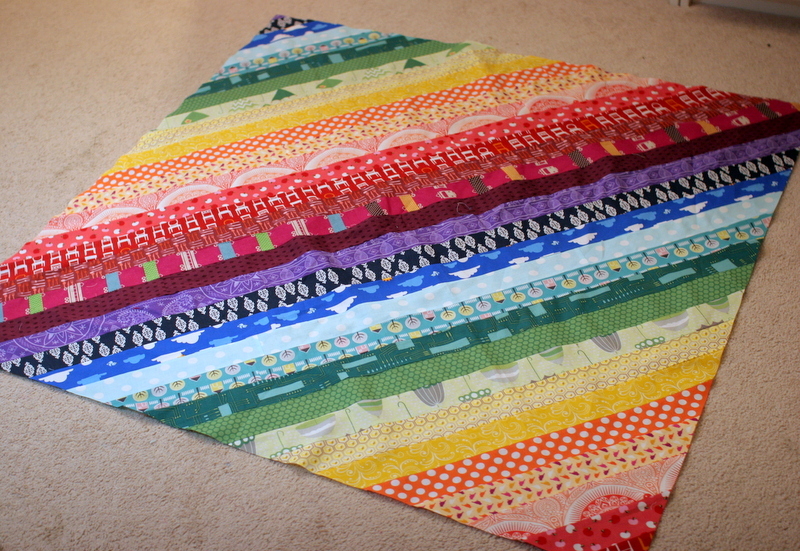 At the moment this top is about 46″ all around, so we’ll see how it ends up once I’ve quilted it. It’s a great playmat size!